It's ironic, but despite knowing how to sell products and services, so many marketers have a hard time selling themselves. It can often be difficult to turn the spotlight inward, but creating a standout resume is a skill all marketers need to perfect if they want to grow their career. 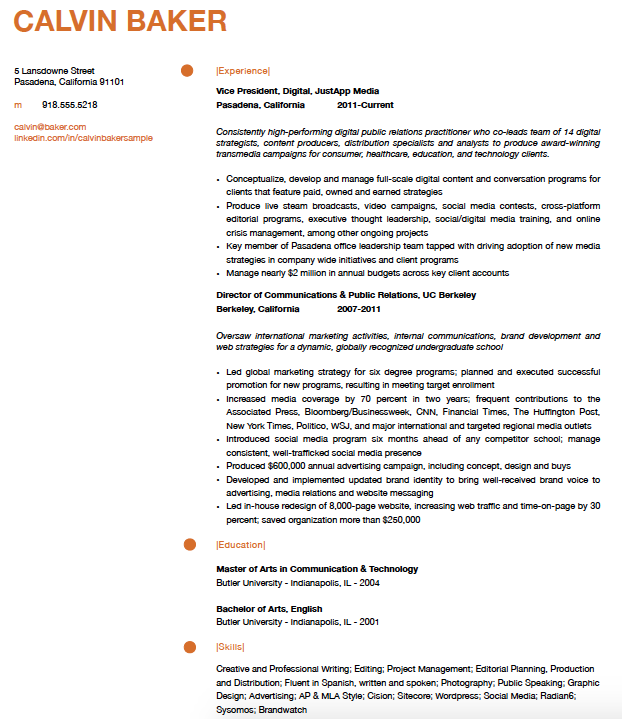 If you're a marketer whose resume could use a little polish, don't worry. 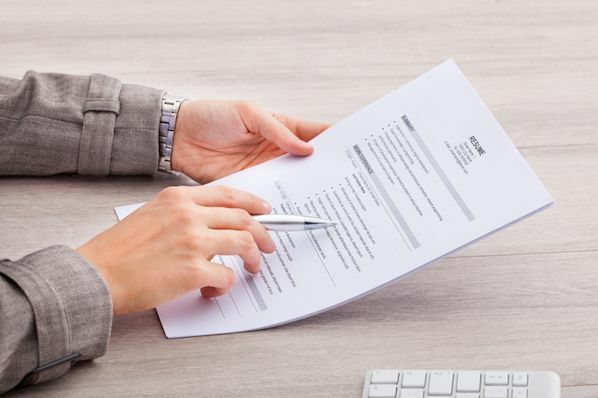 With just a few resources and some actionable tips from hiring managers themselves, we'll help you create a truly impressive marketing resume that's sure to stand out to recruiters. You never start a marketing campaign without knowing who you want to reach. That’s because once you know your target audience, it's easier for the other decisions to fall into place. The same logic applies to your resume. If you know who will read it and what’s important to them, you can shape your message accordingly. To do this, you need to think about the type of job and company you're hoping to work for. Ask yourself questions like: Is the job purely in inbound marketing, or will it require both traditional and digital work? Will you be a specialist or a generalist? Who is the employer -- an agency with a buzzing digital marketing team in place already, or a small company looking to leverage the power of social media to grow their sales? Or maybe it's a marketing department within a large and established corporation? You have a unique blend of skills, characteristics, and experiences that make you different from every marketer. To create a truly effective resume, you need to define exactly what this unique blend is -- we’ll call this your value proposition. To a large extent, your value proposition depends on the type of positions and companies you're targeting. Large and small companies often look for completely different skill sets, as do companies in different industries. So as you think about what makes you uniquely valuable, and how that aligns with the jobs you're applying to. 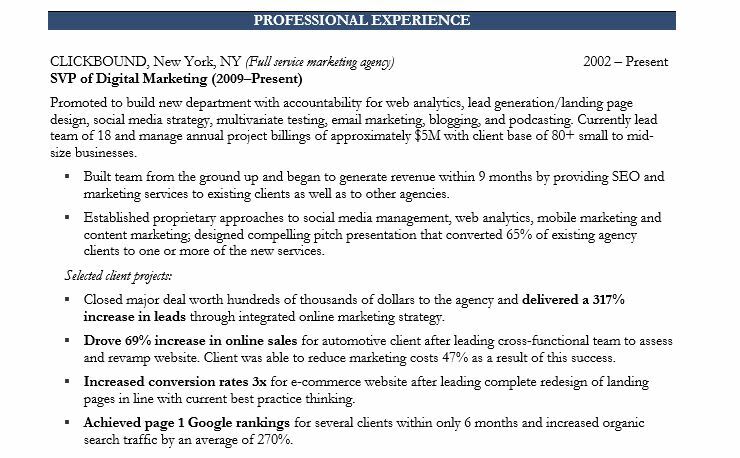 If you want an example of great messaging in a resume, check out the digital marketing executive resume sample among our free downloadable resume templates. Look at the progression of roles and key accomplishments in those roles -- it tells his career story while also making him look exceptionally qualified. If you don't already have a connection at the company you're applying to, you'll most likely need to apply through a computer system. This process is what makes it so critical to upload it in a format that allows all recipients to read it as intended, like a PDF. That way, none of the original formatting or spacing is lost in translation, making it really yucky to read from a recruiter's perspective. Although they'll still have access to your resume, confusing formatting might distract them from the content. Once you send in your resume, the computer service will do is scan it for relevant keywords that have been programmed in advance by the recruiter. 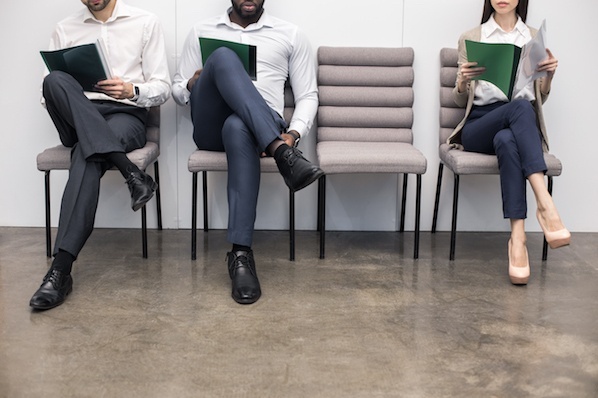 Then, the system will either "pass" or "fail" you, depending on how many keywords and phrases are included in your resume that match what the recruiter's looking for. Don't worry: Even if you "fail," it doesn't mean your resume won't ever get seen by a real human. But it doesn't look great, either -- so try to foresee which keywords the recruiter will be looking for by making a note of all of the skills you have that are relevant to the job description. Keywords to include might be the names of the social media sites you use, analytics or CRM systems you know, and software programs or SAAS systems you’re familiar with. Make sure you've included these terms as seamlessly as possible throughout your resume (where relevant), and add any outliers at the very bottom under a "Technical Skills" or "Digital Marketing Skills" section. Sure, computers may be used in the initial screening process, but it's humans -- with real feelings, pet peeves, hobbies, relationships, experiences, and backgrounds -- who are ultimately reading and evaluating our resumes. Limit your resumes to one page if you can. It takes hiring managers six seconds to decide whether they like your resume or not. If they do, they'll keep reading. If they don't ... well, it's on to the next. So, chances are, they won't even get to page two. 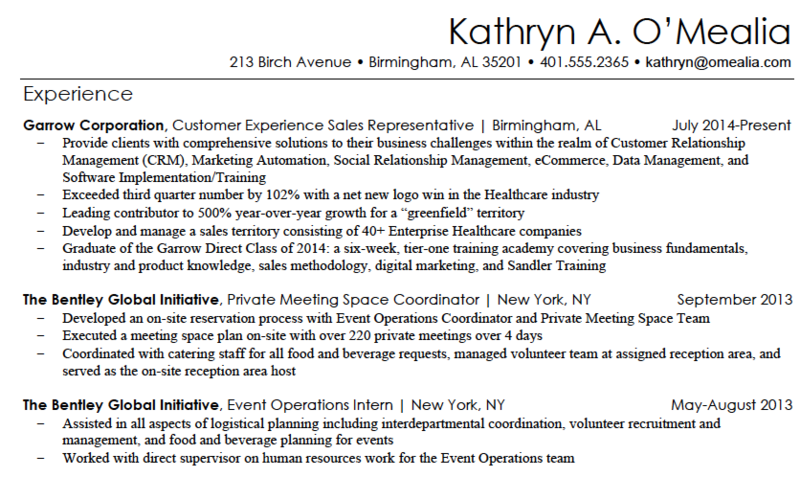 Below is a snippet from a 2-page resume with great formatting that's easy to read. 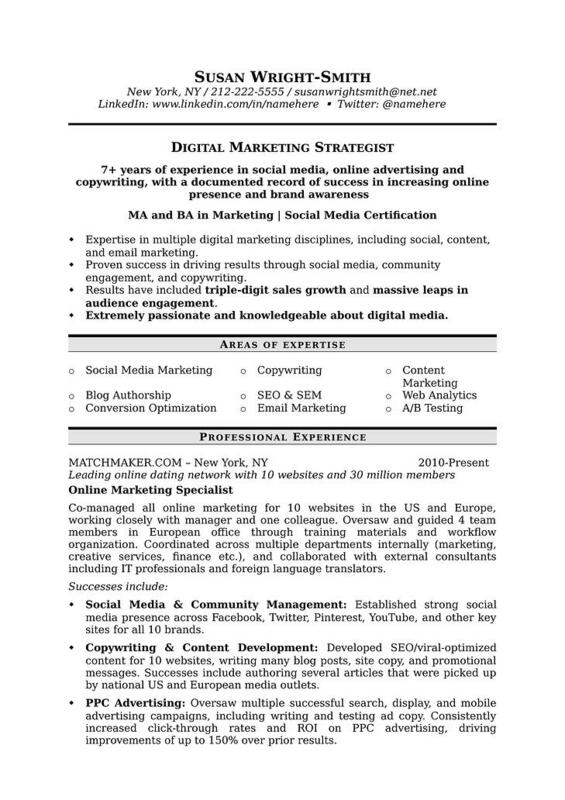 If you like the format and want to use it as your own, you can find it among our free downloadable resume templates here under "Digital Marketing Strategist." 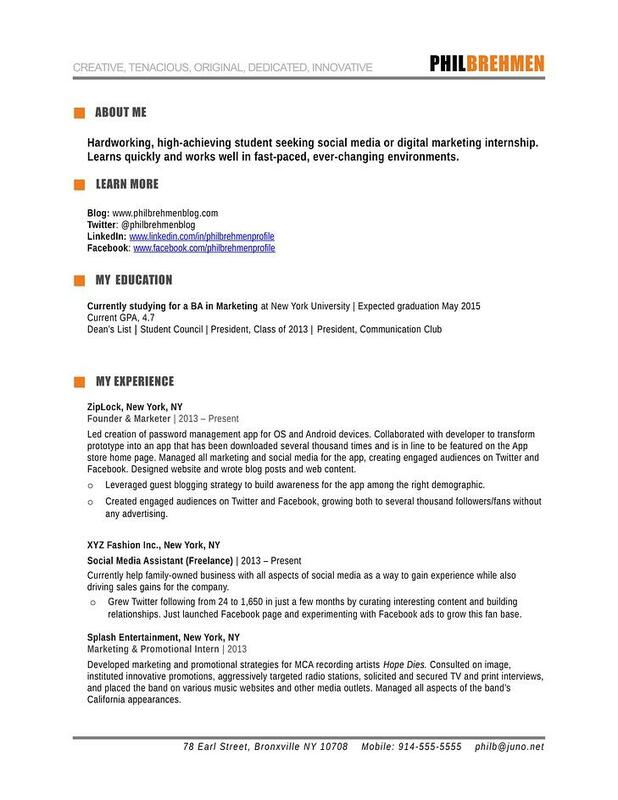 Here's another one, this time a one-page resume from a student seeking an internship. If you like the format and want to use it as your own, you can find it among our free downloadable resume templates here under "Inbound Marketing Intern." The creatives among you might be asking, "What about infographic resumes?" Here's the general consensus: Don't make an infographic resume. Every hiring manager I spoke with advised sticking to the classic resume form instead of infographics or other formats. Below is an example of a creative format that's still easy to read and understand. It was made using the Apple desktop app iWork Pages, which can be exported as a PDF so none of that beautiful formatting gets messed up in translation. 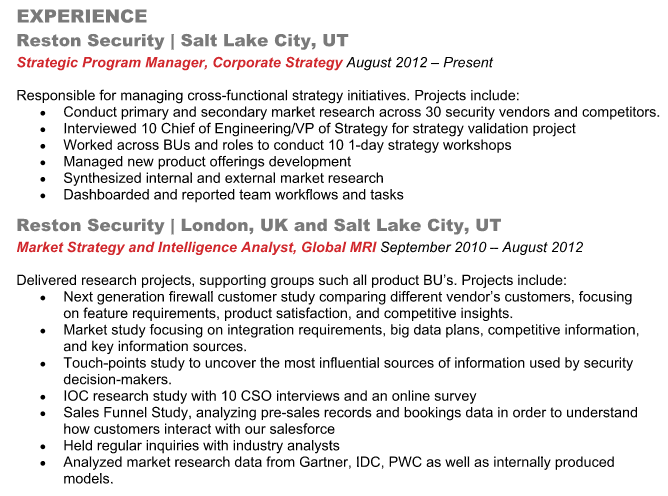 Hiring managers throw away resumes with spelling errors -- but writing quality goes beyond just simple spelling mistakes. Writing and presenting data in meaningful ways is a critical skill for any position, from blogging to engineering. Hiring managers want to know if you’ll need to relocate. If you already live near the company's office, great! If you would need to relocate, then it gets a little more complicated. Technically, hiring managers can’t legally ask you directly where you live -- but omitting location will raise eyebrows. Even P.O. boxes are a little iffy. It depends on the job you’re applying for. In most cases, your degree should make sense for the role. Hiring managers are looking for the tie-in; what's relevant about what a candidate’s done in school. That doesn’t mean only marketing majors can apply to marketing jobs -- marketing teams might hire someone who came out of creative studies like liberal arts, graphic design, or writing. An engineering team, on the other hand, probably won’t hire someone without a computer science degree. 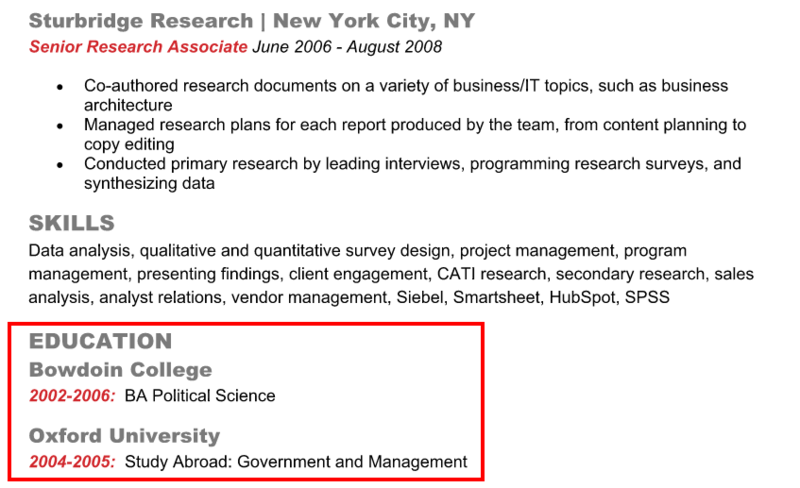 Three to five years after college or graduate school graduation, you can move your "Education" section to the bottom of your resume -- unless you connected with someone through an alumni network or if you know an executive there also went to your school. Want to take your marketing education to the next level and make your resume even more appealing to potential employers? Become a certified inbound marketing professional with HubSpot's free marketing certification. Get started here. Hiring managers will look at where you've worked before (do they recognize the company names or know anyone who works there?) and your titles at those companies. 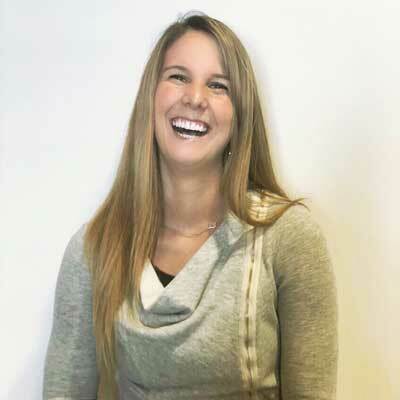 "If you're applying for a sales position at a software company like HubSpot, we're looking for experience selling software," David Fernandez, Recruiting Team Lead at HubSpot, told me. "If you're applying for a services position, we're looking for customer-facing experience." Yes, people tweak their titles at previous companies to more closely match the positions they're applying for. If you do this, your “new” title should be close enough to what you really did that if someone were to call and check a reference, they wouldn't be dumbfounded. Maybe “Clerk to the Surgical Waiting Room” becomes “Customer Service Clerk.” Also, make sure to change your titles on LinkedIn, too -- hiring managers will check for consistency on LinkedIn, Fernandez said. Also, include goals and metrics that hiring managers can use to compare you against other candidates, and make sure those metrics make sense so you don’t confuse the hiring manager. Run the metrics by your mom. I'm serious. If they make sense to her, then they’re all set. If not, then you weren’t clear enough and you need to tweak the language. If it's something like traveling abroad or taking time off for family or personal reasons, you can simply add it in italics of parenthesis. "Travelled abroad." "Took time off for family." "Took time off for personal reasons." Hiring managers just want to see a rational explanation -- that you were doing something productive with your time. Whether you include interests and hobbies on your resume depends on the company and the job. If you’re applying for a creative role, hobbies like photography and painting could be interesting to an employer. If you’re hiring for an accounting role, then a hobby like skydiving wouldn’t be good to include -- hiring managers might categorize you as a risk-taker, and do they really want a risk-taker managing their money? "Think about the conclusions someone could draw from your hobbies relative to the role you’re hiring for," Quinn advises. "Do they enhance or detract from the image you’re trying to convey? If you know the culture embraces unique individuals that have a broad background and set of interests, then it could be useful information. But conservative organizations probably don’t care what you do in your free time -- in fact, they could interpret outside hobbies as distractions." In fact, we recommend skipping these altogether. Frankly, they’re irrelevant -- not to mention way too easy to screw up. I've spoken with HubSpot recruiters about numerous times where candidates put the name of another local company on there -- huge mistake. Instead, replace it with a "Skills" or "Key Skills" section at the top of your resume, in column format, that highlights the top six to nine skills applicable to the role you’re applying for. Be sure to change these skills for each job and use the job description as a guideline. Don't plagiarize the job description by any means, but you can pull out key phrases. For example, in the example below, one of the listed skills is "Deep understanding of the consumer lifecycle." That's because the job description asked for exactly that: a deep understanding of the consumer lifecycle and customer journey. Pro Tip: Although you should leave this section off your resume, you should have something in the 'Summary' section of your LinkedIn profile. Focus this section on specific skills and achievements. It’s a good place to put a link to your portfolio, blog, SlideShare presentations, or examples of work you’ve created like open-source code. Cover letters vary in importance, depending on industry, and even on individual company. Here at HubSpot, we phased out requiring one -- and instead ask candidates thoughtful questions during our application and interview process. Many companies that require you to write a cover letter will read it, but they'll focus mostly on your resume. With this in mind, include important details on your resume, like gaps in employment, rather than relying on your cover letter -- which may never get read -- to explain it. And reallocate those hours you plan to spend writing and perfecting your cover letter to writing and rewriting your resume. Your resume is the most important tool in the first stage of the application process, so spend a lot of time on it and ask multiple people to critique it.